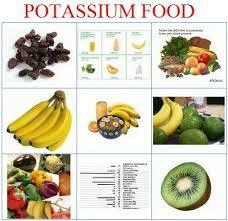 Potassium high foods decrease mortality rates associated with stroke. A new study published in the American Heart Association’s journal stroke specified the impact of potassium rich foods on postmenopausal women. The researchers analyzed 90,137 postmenopausal women, aged 50-79, for an average of 11 years. They examined consumption of potassium as well as if they had stroked, including ischemic and hemorrhagic stroke, or died during the study period.Women in the study were stroke-free at the start and their average dietary potassium intake was 2,611 mg/day. 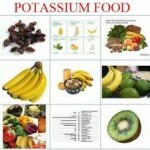 “Previous studies have shown that potassium consumption may lower blood pressure. But whether potassium intake could prevent stroke or death wasn’t clear,” said Sylvia Wassertheil-Smoller, Ph.D., study senior author and distinguished university professor emerita, department of epidemiology and population health at Albert Einstein College of Medicine, Bronx, NY. The findings reflected that women who ate the most potassium were 12 % less likely to suffer stroke in general and 16% less likely to suffer an ischemic stroke than women who ate the least. The death rate was decreased by 10%. For women who were relatively healthy and who did not suffer from hypertension, those women who ate the most potassium had a 27 percent lower ischemic stroke risk and 21 percent reduced risk for all stroke types, compared to women who ate the least potassium in their daily diets. ← Soy alters the expression of breast cancer genes.